Wash your hands to keep germs away. “I try to get 20 to 30 minutes of cardio every morning before I go to work,” Fryhofer says. “There’s something about making your heart pump that’s good for your body. It strengthens your heart and strengthens your immune system,” says Sandra Fryhofer, MD, MACP, clinical associate professor at Emory University School of Medicine and a general internist in Atlanta. Tony, you know I love your messages, enthusiasm and thoughtfulness to share ideas to help improve the quality of people’s lives, but the flu vaccine has enough independent research demonstrating efficacy issues that blanket vaccination recommendations do not seem objectively justifiable. There are cases where immune compromise and pre-existing weakened function predisposes a person to high risks if exposed to viral contamination. I can understand a person choosing this vaccine under these conditions. At best, however, the levels of protection range from approx. 47% to 51%. If you include people taking statin drugs for high cholesterol, the percentages drops to 13%. It was also shown that people who received the vaccine two years in a row had increased susceptibility for succumbing to the flu. I am not suggesting people abstain from or choose the flu vaccine. I am saying informed decision making based on ALL the evidence makes greater sense than relying solely on the medical and pharmaceutical community with so much “skin in the game.” Even the medical community has doctors sharing concerns about this vaccine. There are few things in life that apply to “EVERYONE” or “NO ONE.” The data simply doesn’t justify total population vaccination for flu prevention. It should be left to the individual to decide for themselves. As you include in your article, the best means to PREVENTING the flu (and other diseases) is to live a lifestyle that strengthens the overall function of the body including the immune system. Natural exposure to viruses and bacteria while healthy bolsters the immune system and immune response to these infections. 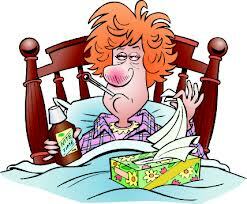 I treated sick people in my office for over 20 years and had two episodes of viral flu infection that last 2 days each. These were the only 4 days missed from work during my 20+ years seeing patients. At 57 years old, I have never had a flu shot. This was MY personal decision and one I will continue to follow until the independent research provides new data with different outcomes. Thank you for allowing me to share my views on this subject on your blog site. Doctor Jonathan, thanks very much for sharing that information. Your views are always welcome here. Clearly your experience and knowledge as a health care professional is invaluable in this situation. I actually started getting the shot back when I was teaching journalism. One of my students did a paper on flu shots and seniors. One of the seniors said that since she had been getting the flu shots she not only hadn’t got the flu, but she hadn’t even caught a cold. My experience has been similar. I have only had one cold and no flu in the more than 16 years I have gotten shots. Regarding the percentages of protection being 47% to 51%, those are still better than nothing. I was not aware of the drop for folks on statins, I want to look into that further. However, even 13% is better than nothing. While small that is still a benefit. Finally, we have talked about ‘averages’ previously. Assuming there is a large percentage of the population in less than excellent health, I would think the added protection of the shot makes it worth taking. I understand and respect your belief that 47%-51% is better than nothing, but the stats do not clearly reflect the accuracy of protection. Many years, the vaccine was either produced in insufficient quantity or produced ineffectively because the educated guessing used to develop the vaccine was wrong. Morbidity and mortality did not reflect statistical differences in those years. Neurological complications (ex. Guillain-Barre) have also been reported following the flu vaccine. These are rare cases and questions remain whether these complications were the result of the vaccine or coincidental events. Regardless, conclusive answers have NOT been reached. Components within the vaccine itself remains controversial. Adjuvants, preservatives as well as allergic reactions to other components remain risk factors. The medical argument about these factors is their limited quantities well within governmental safety standards. The problem is, they exclude hypersensitivity reactions with serious adverse side effects. This would be similar to a person with a peanut allergy. 1/2 of 1 peanut is a pretty small quantity, yet it is capable of creating a life threatening anaphylactic reaction. It’s not always about quantity, but rather qualitative RESPONSES to the substance. These are just a few of the factors rarely, if ever, discussed by most physicians prior to vaccinating their patients. People have a right to know these risk factors without ANY TYPE OF DOCTOR (allopath, complimentary or alternative) imposing their personal views. We (physicians) are NOT supposed to act like the media that typically slant their stories in favor of their network’s political biases. It is our job to present ALL SIDED to our patients to help them reach THEIR OWN CONCLUSIONS in order to make the best informed decisions FOR THEMSELVES. Like you, I am passionate about this topic. I am NOT an activist supporting or opposing vaccinations; I am a compassionate, caring physician with strong ethical and moral standards obligated by these standards to share credible information that I have with the public. How they choose to use this information I leave up to them. Stay healthy and happy my friend and continue to live the marvelous quality of life you have EARNED. Okay, I think you have gone way past my pay grade on this one. I am doing what I can to spread the word on living a healthy, happy and long life. I am not a doctor, so am limited in what I know. I believe that the post will help substantially more people than it hurts. I very much appreciate your sharing your expertise in this and other matters we have discussed. Here in the UK, the flu shot or ‘flu jab’ as they say, is free for over 60’s/Old Age Pensioners (OAP’s). Also,the NHS is pretty great too, but I digress. I got the flu jab the other year and came down with the flu approx 2 weeks later. I really thought I was going to ‘meet my maker’ in heaven. I will never ever get the flu shot again. I do agree with Dr. Johnson here, and I am not a doctor. Just an American living in London. Great post though. Thanks! Thanks for sharing that. Please see my reply to Dr. Jonathan. I read carefully the exchange between Dr. Jonathan and Tony. I am one of the people who has a body that loves viruses. I started an annual flu shot regimen several years ago at the recommendation of my now deceased husband, who was a doctor, because he saw my struggle each year with the flu. I have not had a common cold, let alone the flu, since getting a flu shot. My thinking is that bodies are very different, and applaud Dr. Jonathan’s stressing that doctors should advise patients of all aspects of a flu shot and let the patient decide what is likely best for him/her. Thanks to you both for your expertise on this subject and for reminding us of the importance of a thoughtfulness decision on obtaining a flu shot each year. Thanks very much for adding fresh info to the discussion. Much appreciated.